Infrastructure is fundamentally important in the development of a country. Sectors such as energy, water and transport among others are directly related to growth and the economic and social development of a nation. 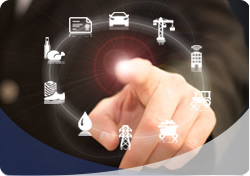 In the infrastructure sector it is a very common demand for equipment to be enabled to monitor data remotely. NOVUS, thinking of this need, has created products that integrate and realize this task simply and reliably. The AirGate GPRS and 3G AirGate gateways are prepared to connect to our Web servers and provide global access to field data. Data collection can be done in many ways with our signal conditioners and the responsibility to store data in the Cloud. If you still need to add onsite control and remote access to the system, XL family controllers with embedded HMI can be added to the architecture to improve the functionality of the system.